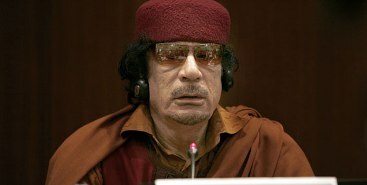 March 7, 2011 (KATAKAMI.COM) — Al Qaeda is responsible for the violent uprising in Libya, but Western media has overstated the extent of the political crisis and its casualties, leader Muammar Gaddafi told FRANCE 24′s Khalil Beshir in an exclusive interview on Sunday (3/6/2011). In a monotone voice he repeatedly returned to his argument that al Qaeda was responsible for instigating the violence. But his attention peaked when the interview turned to the situation in Benghazi, the country’s second largest city now under rebel control.